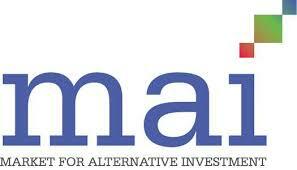 The Market for Alternative Investments ( MAI ) has been established under the Securities Exchange of Thailand Act. The objective is to create new fund-raising opportunities for innovative businesses with high potential growth as well as to provide a greater range of investment alternatives for Thai investors. The main officially commenced operation on June 21, 1999. The Market for Alternative Investments provides a new fund-raising alternative for potential growth firms. Listing on the MAI is a crucial step in the firm’s progress, helping bring the company up to international standards, strengthening its competitiveness, boosting its image and credibility, improving staff morale, and enabling the firm to attract and retain top-quality employees. The MAI operates independently under the supervision of the SET Board of Directors. The MAI committee sets out its policies and oversees the market’s operation and its front office responsibilities, such as listing and public relations. The operational systems and flexible listing requirements have been set to suit the character of any firms-sized. Furthermore, the MAI has its own President and marketing team. However, back-office functions, such as the trading system, clearing and settlement procedures, trading surveillance and supervision, as well as disclosure requirements, will be based entirely on the existing SET operations. All companies currently listed on the Market for Alternative Investments. The official website for the Market for Alternative Investments is here.